I like focusing on the music but sometimes you have to touch on the gossip from time to time. 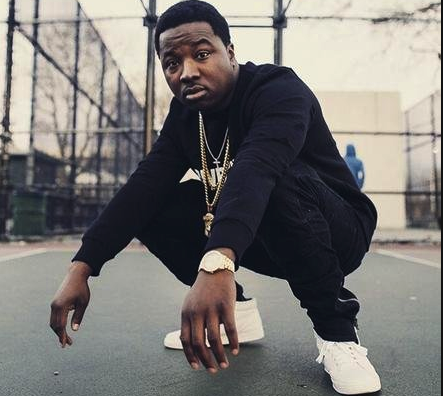 There is some new buzz recently about Troy Ave again and the whole situation that occurred with the shooting that left one poor individual dead. I can’t personally speak on that situation directly because I don’t know the facts. But, what I can do is give you my opinion about what it means to me when someone says keeping it real. Keeping it real should mean that you are able to persevere when things get tough in any situation and have integrity. It should not mean being in the streets and trying to commit crimes to make quick money. Thing about the future, are you planning to be a drug dealer all your life or a petty thief? Where is the honor in that? You also have no way of sustaining in that sort of situation. What a lot of these rappers should be doing is dissuading the youth from entering into this sort of environment and think that it is cool. Guys like Mysonne have been preaching positivity for a long time and he was very vocal in the whole Troy Ave situation from the jump. The moral of the story is, don’t try to glorify a lifestyle where people are going to end up dead or in jail. Glorify the importance of getting a good education and working hard to get what you want in life so that you can be sustainable, feel good about yourself and have a retirement plan. Check out the two videos below covering Troy Ave’s change of heart regarding the “streets” and Mysonne’s response to this change of heart.